The heat loss in a floor is greater at the exposed perimeter edge of the floor. To calculate the U-Value, the exposed perimeter edge to area ratio needs to be worked out e.g. – a 100m² area, semi-detached house with 3 external walls of 10m each has a perimeter edge to area ratio of 0.3 (i.e. 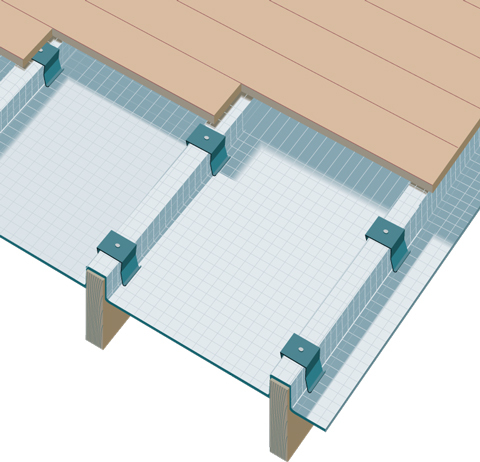 30m ÷ 100m² = 0.3) Overall thermal transmittance (U-value) of suspended floors should be calculated using BS EN ISO 13370. In many cases Foiltec Double used in suspended timber floors will meet Building Regulations requirements with no additional measures.